Drop-in sewing and beading is available during all hours we’re open. No reservation necessary. Click here for more info. We can walk your child to and from RoCo, Mathnaseum, Mojo Dojo, Mill Valley Potter’s Studio, Studio4Art, ProofLab. Do you have a house, habitat or scene you’d like to fix up or add more details to? 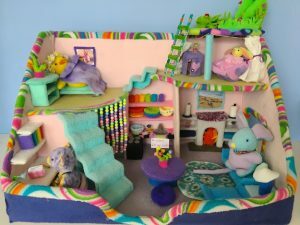 We remodeled our 6-year old house. It looks so much better now and it was so much fun to finally finish it! 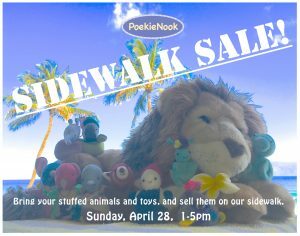 We’re celebrating King’s Day the way they do in Holland with a sidewalk sale. Maybe those toys that you have neglected will find a new loving home. Lots of kids from out of town walk by on Sundays. 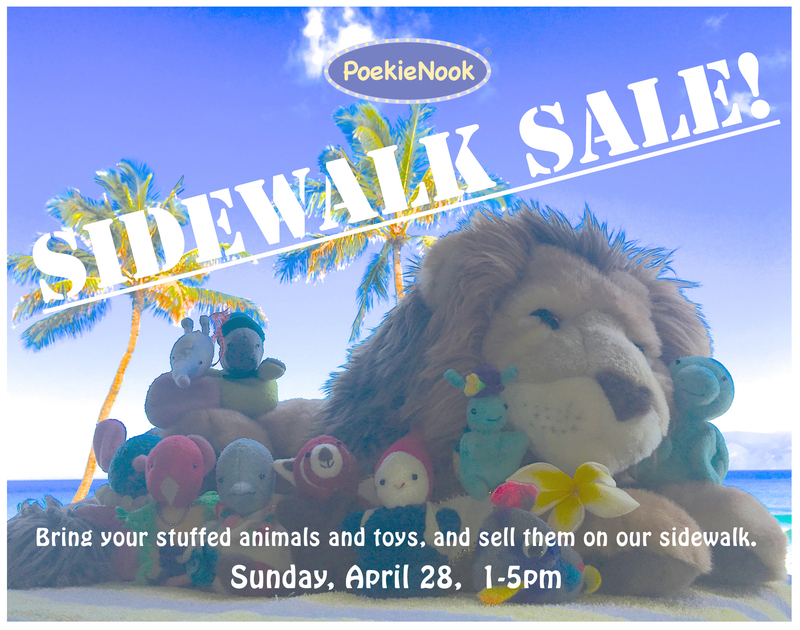 Let’s see if we can help you sell your stuffed animals and toys on our sidewalk. 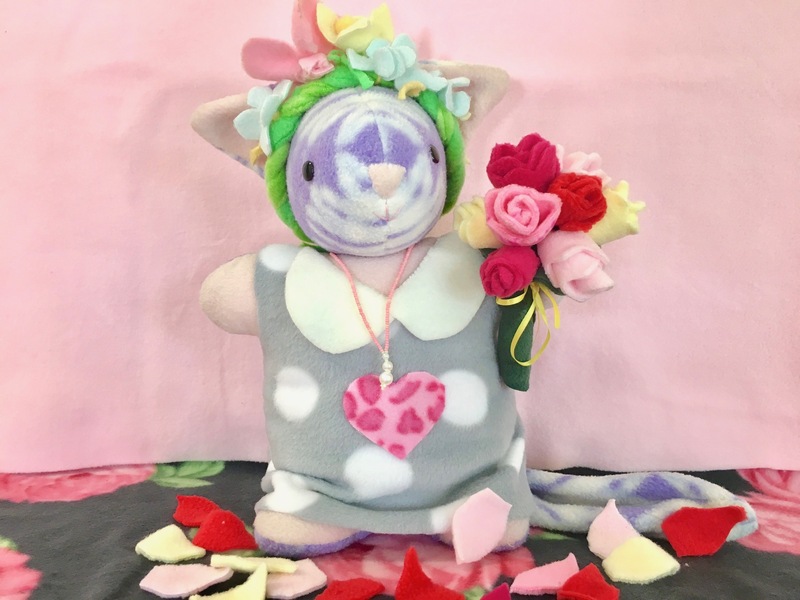 A sweet Mother’s Day class. Bring your mom AND your Mama Poekies! Make a posie of roses with your mom and sew your Mama Poekie a new dress. Moms (and Mama Poekies) are free! Age 6 and up depending on experience, Sunday, May 12, drop in anytime. Regular drop-in rates apply. Moms are free! 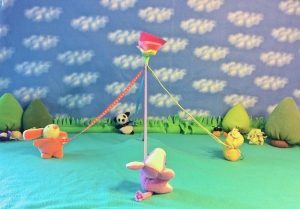 Celebrating May with this ancient tradition, we’ll make a Maypole with colorful ribbons, and create a lawn to put it on. 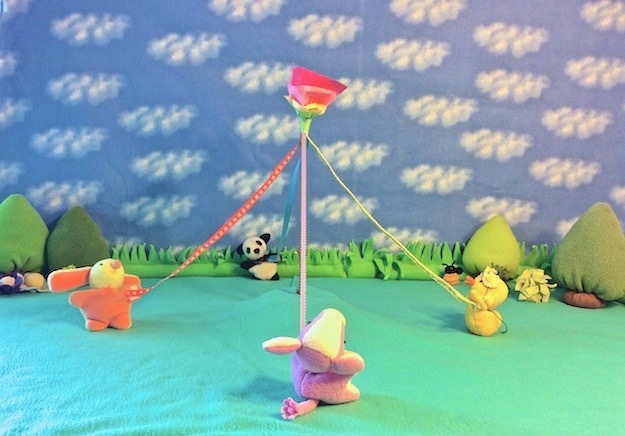 And we’ll show you how to help your Poekies dance around the Maypole. $50, class will be canceled if less then eight students attend.